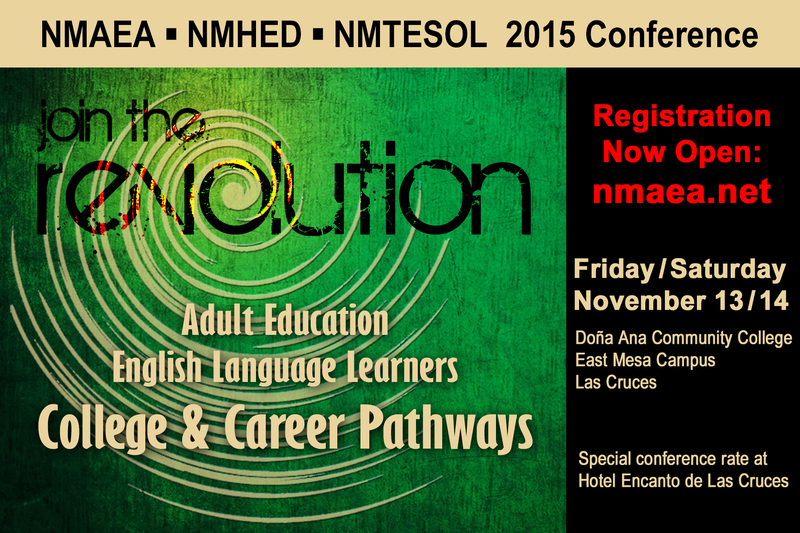 Colin joined the NMTESOL Board after the annual membership meeting in January 2014. He made a number of trips from Las Cruces to Albuquerque for various NMTESOL events, including our spring workshops at CNM and various meetings. For his biggest contribution to the association, however, he could stay at home. Colin organized our first Roadshow Workshop at NMSU in May 2015 (see the Summer 2015 newsletter for more details). That was a particularly memorable event because 40 Ecuadorian teachers of English who were studying at NMSU then were able to attend the workshop too. The Board and membership of NMTESOL wish Colin and his family the best in Boston! Looking ahead: If you or someone you know is interested in serving on the NMTESOL Board as Vice President, please contact the association.